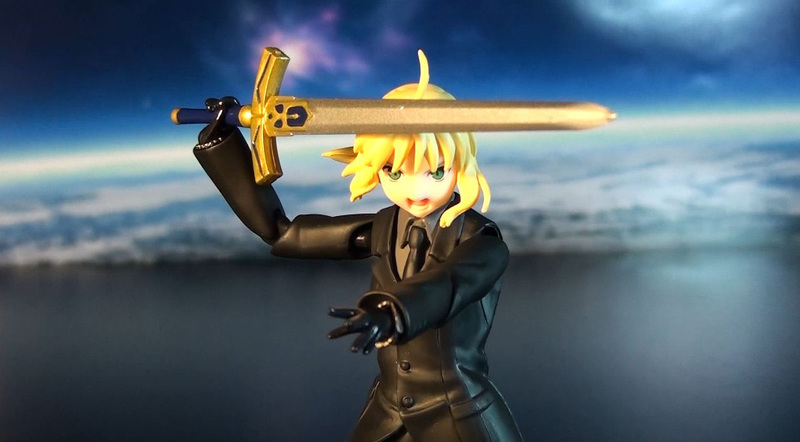 If you’ve been wishing for non-armored Saber action figure, then pick up this limited Figma figure. 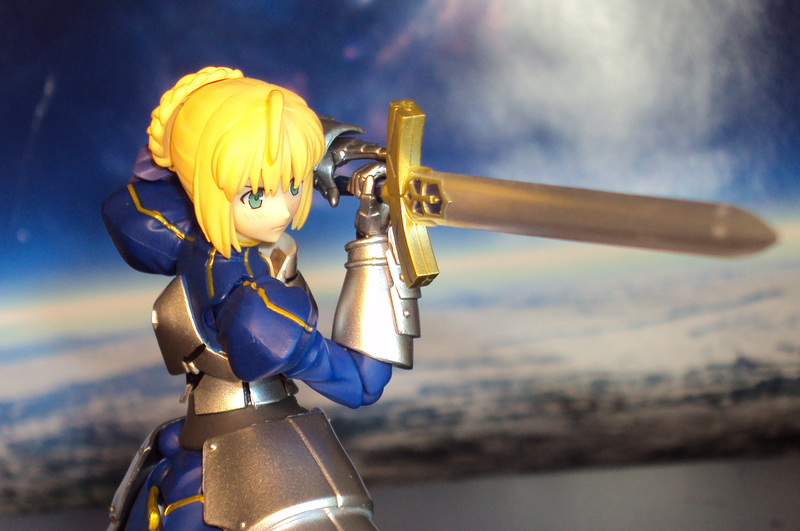 Featuring superb articulation and top notch sculpting, this release is definitely a worthy of a Fate/Stay Night collector’s shelf. 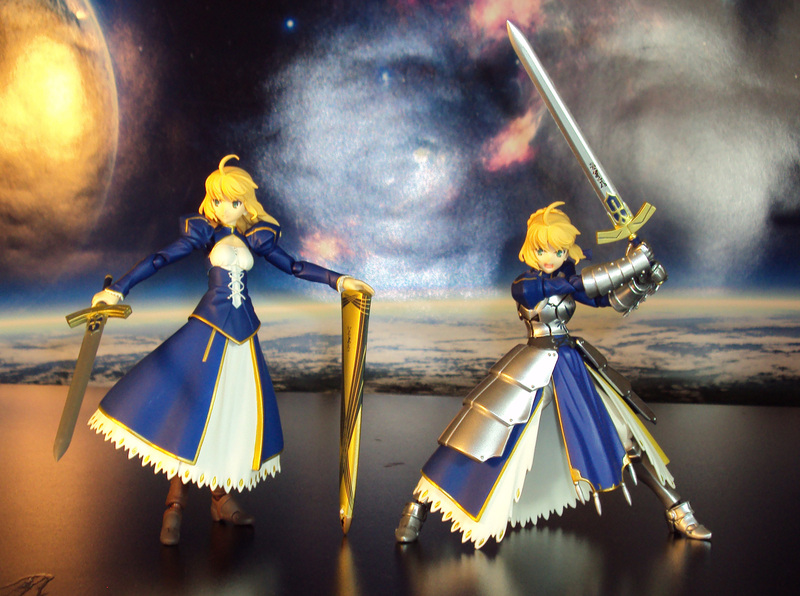 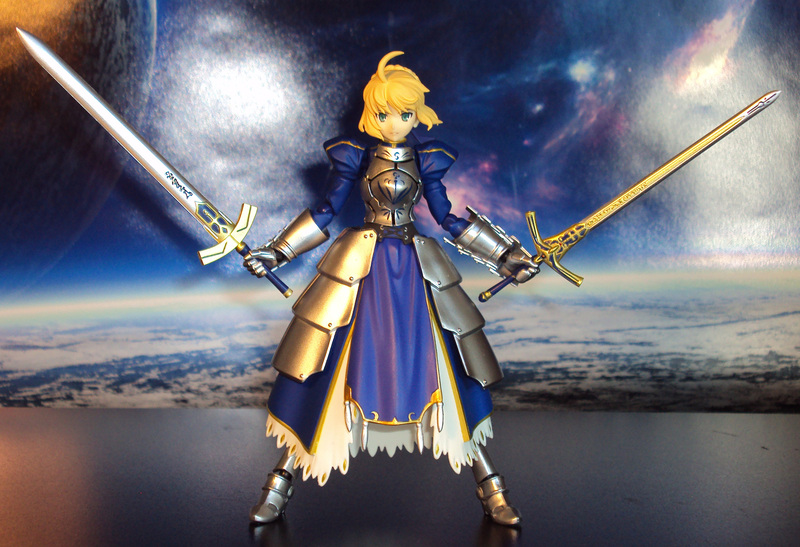 This is also a great figure for Saber 2.0 owners as you can head swap between the long hair and short hair parts. 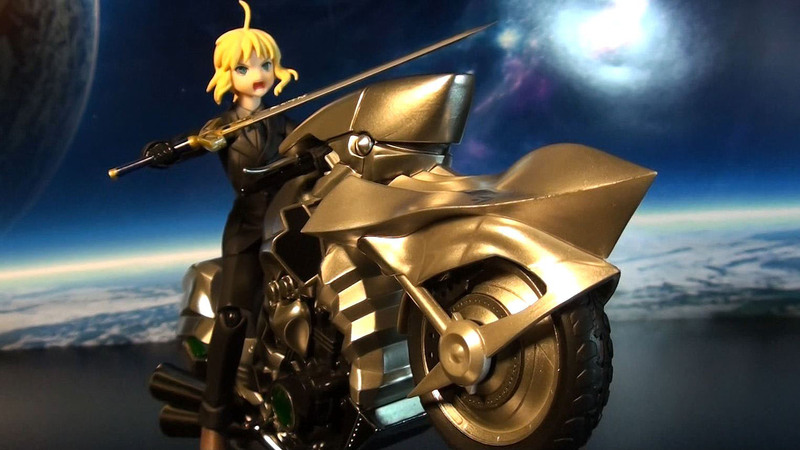 Includes her Excalibur with scarab, extra hands, 2 alternate facial expressions, figma stand and accessory bag. 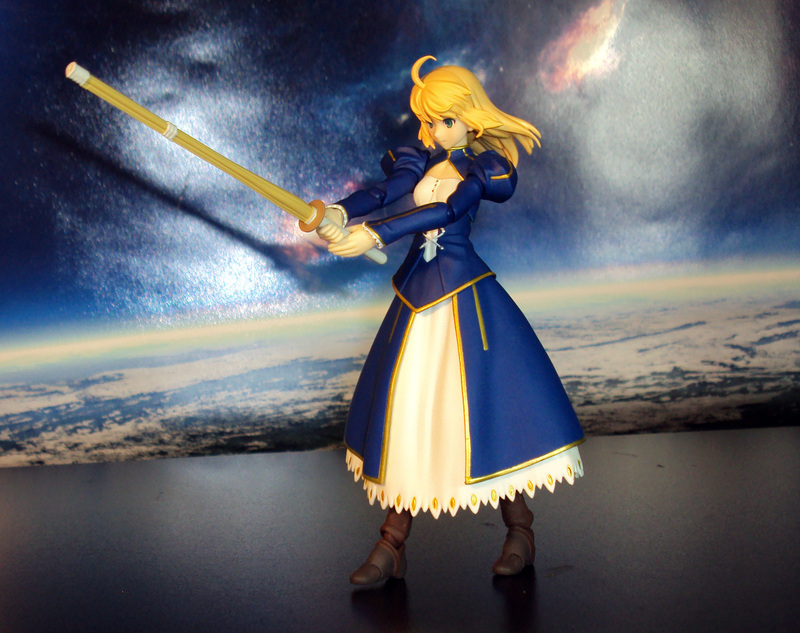 Price at about $90 (eBay). 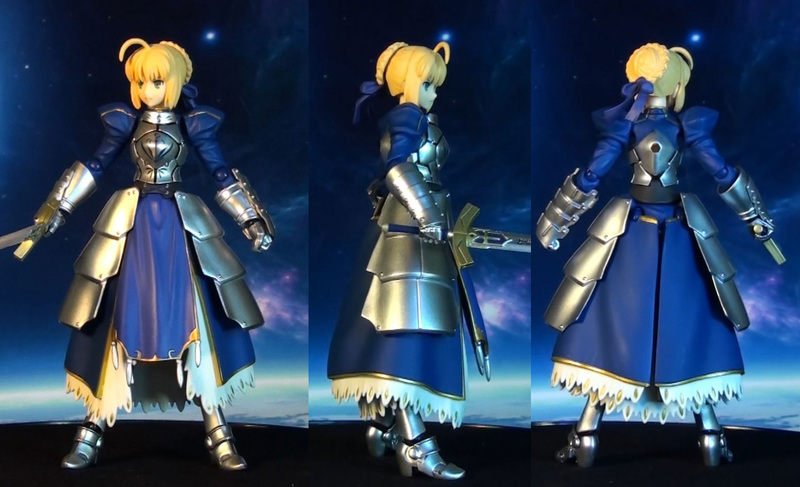 Saber 2.0 is here. 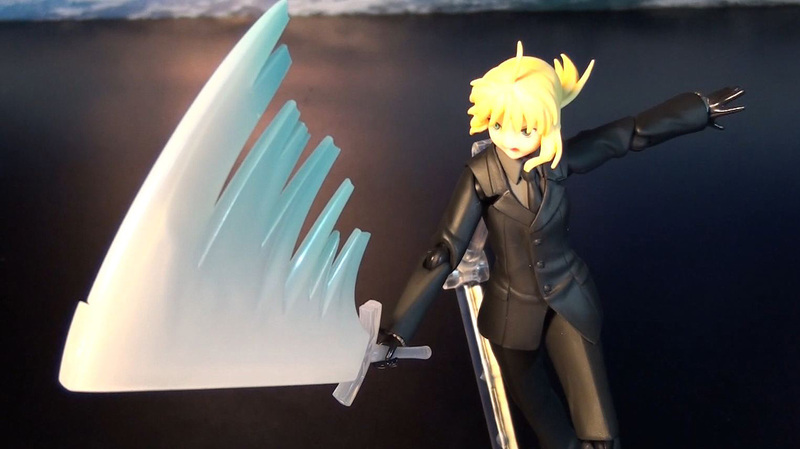 Featuring all-new body mold and a better articulation system, this Saber is THE BEST to date and must own for Fate/Stay Night Figma collectors. 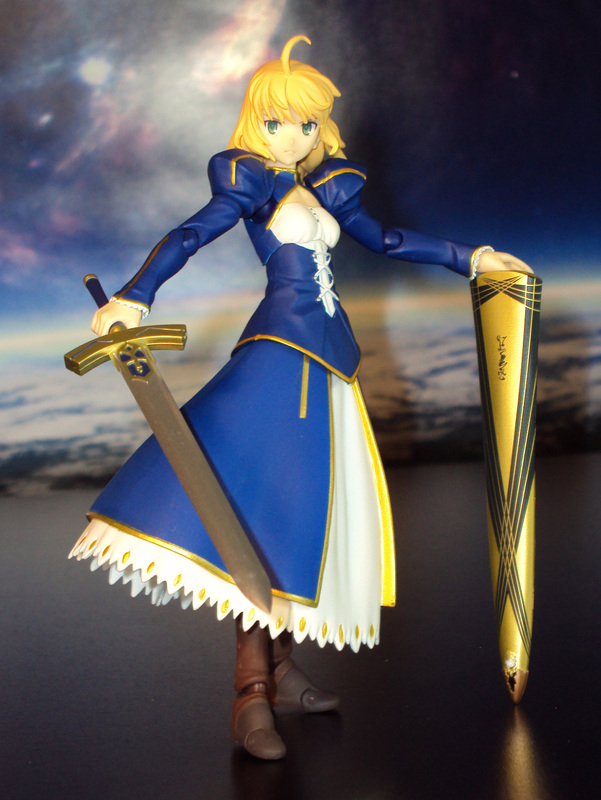 Includes her two swords: Caliburn & Excalibur with (scarabs), plus extra hands, figma stand and accessorie bag. 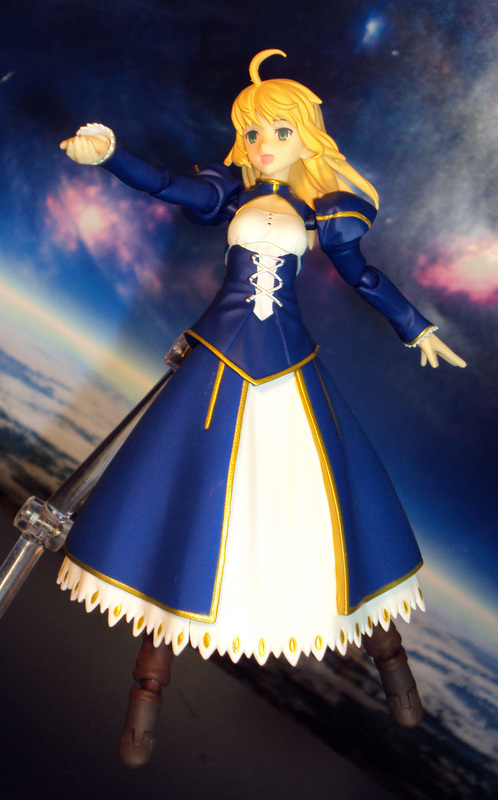 Price at about $60 (eBay). 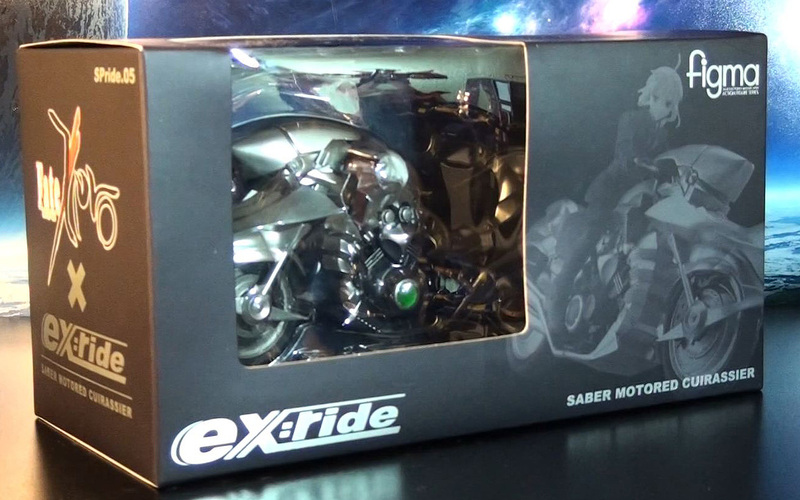 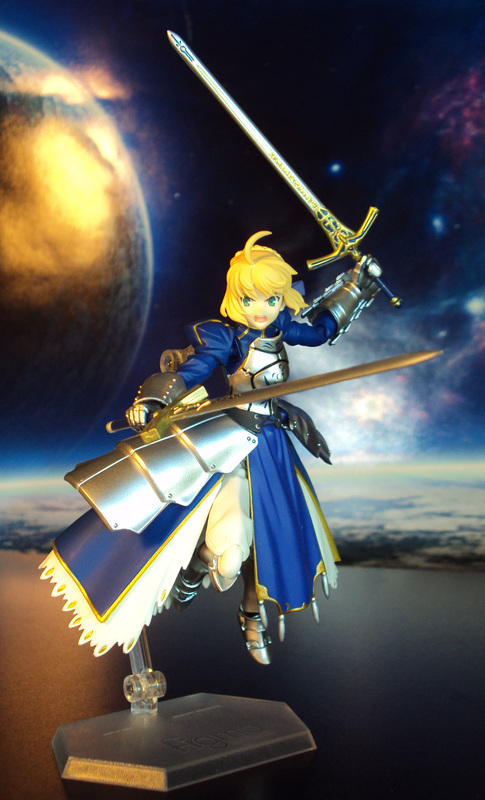 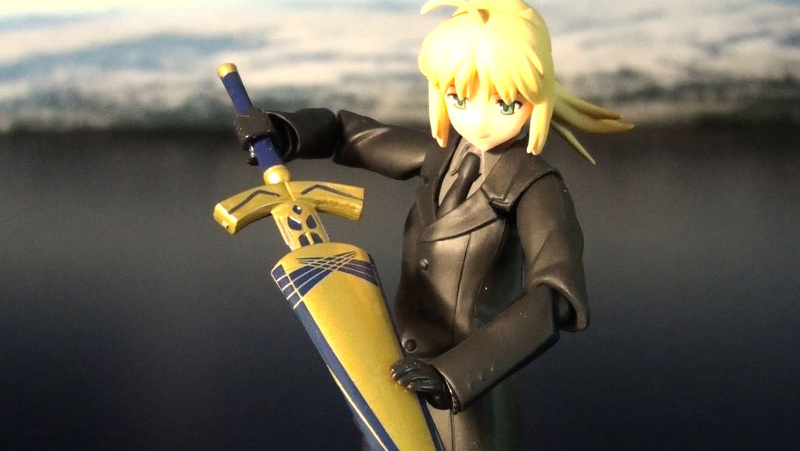 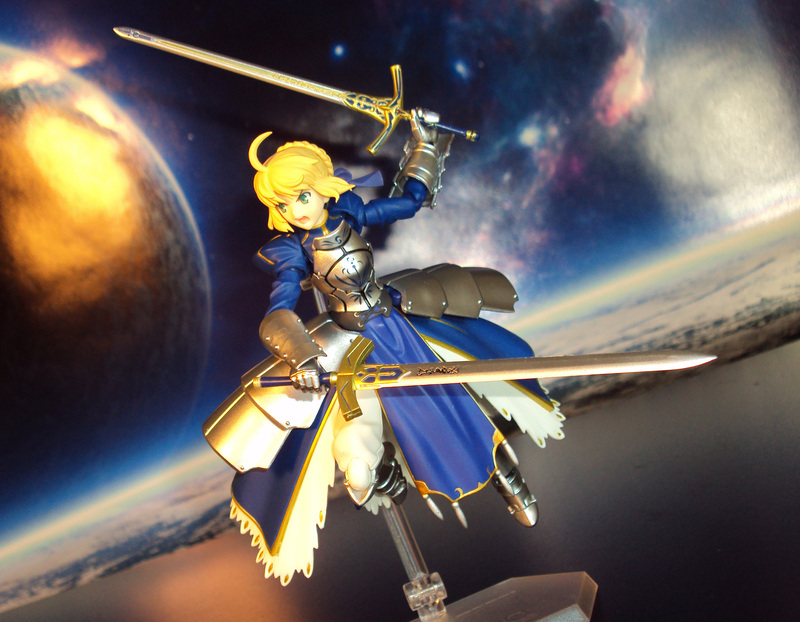 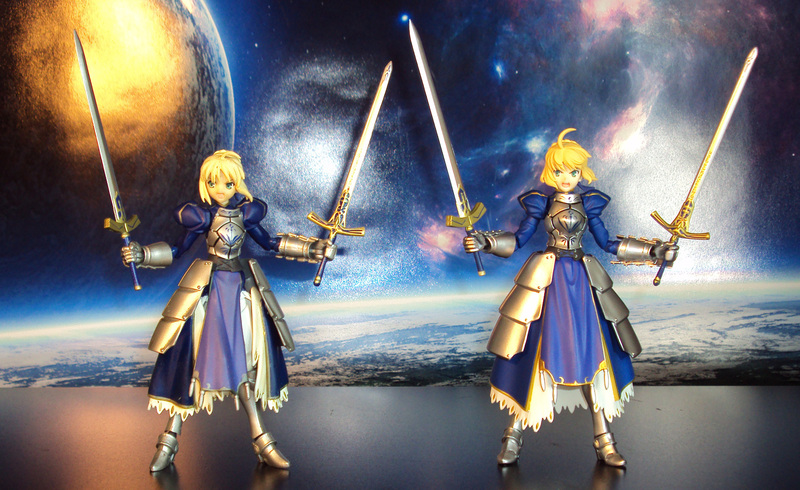 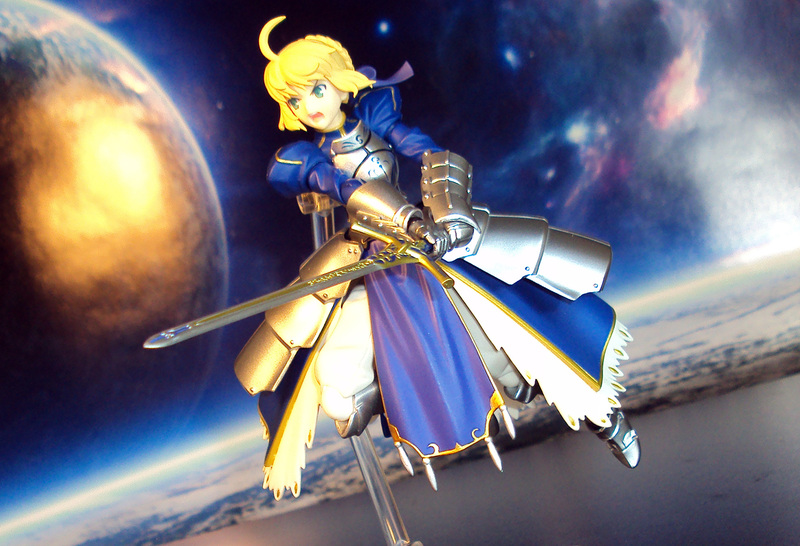 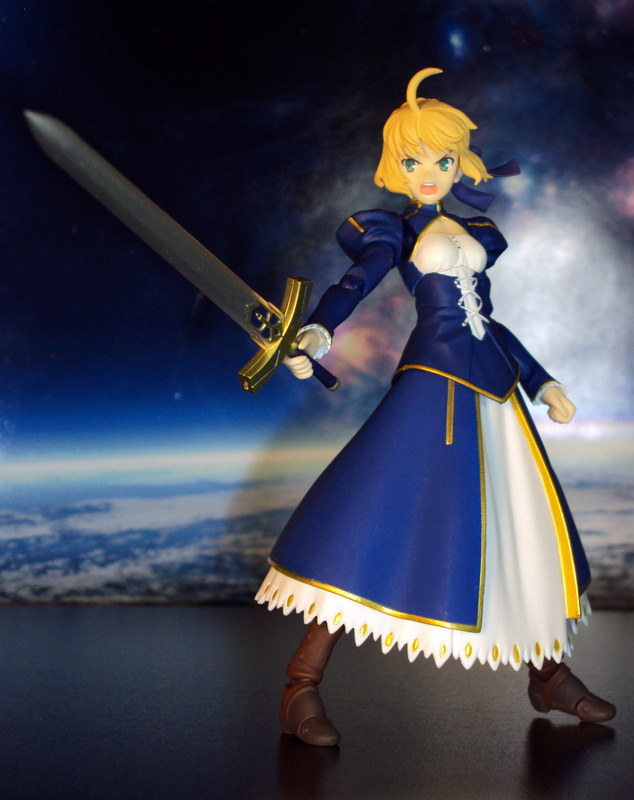 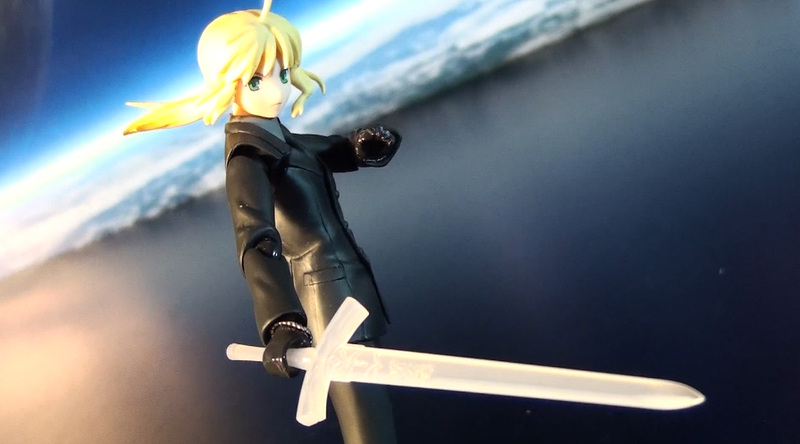 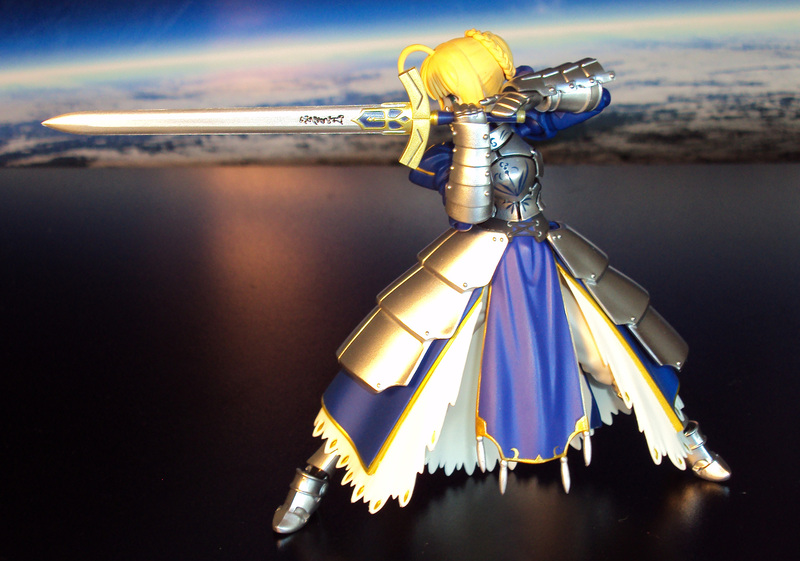 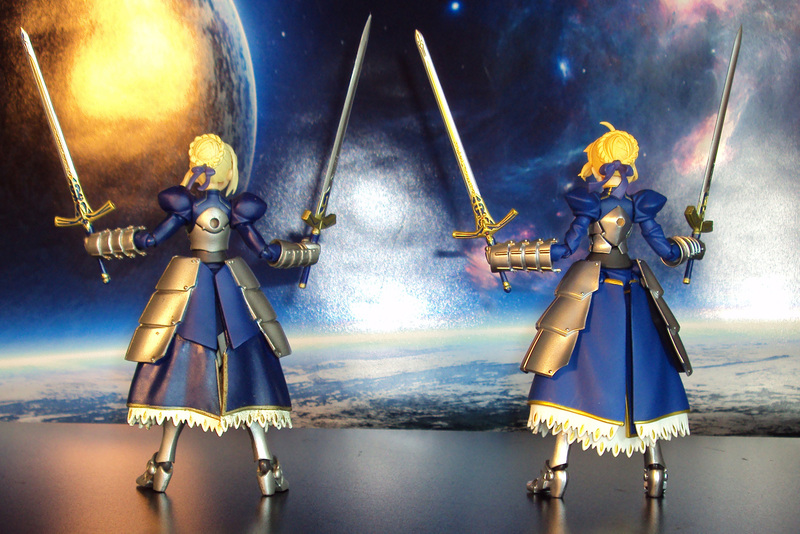 This is the perfect companion piece for the Figma Fate/Zero Saber action figure. 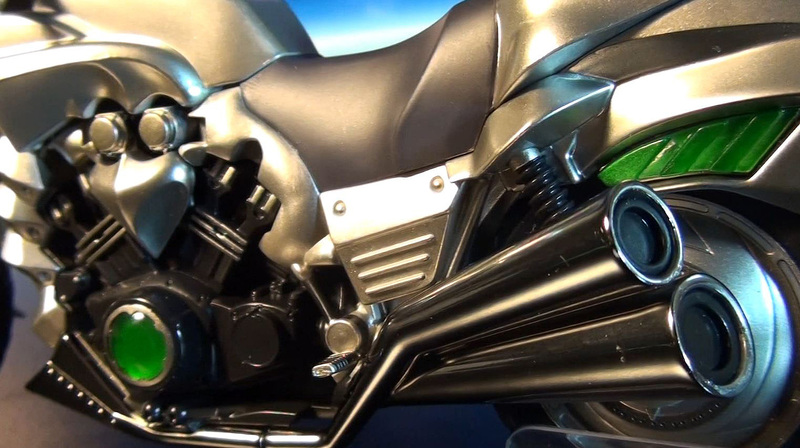 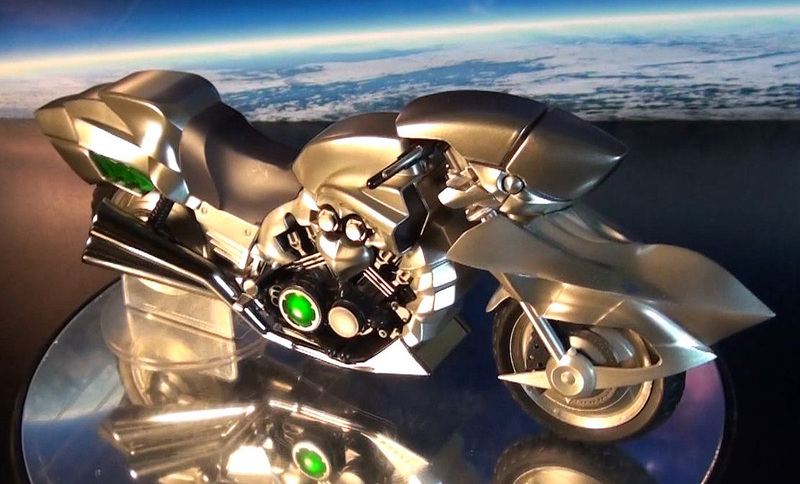 Made of high quality plastic with good weight to it, this bike is beatifically sculpted and sports an amazing paint palette. 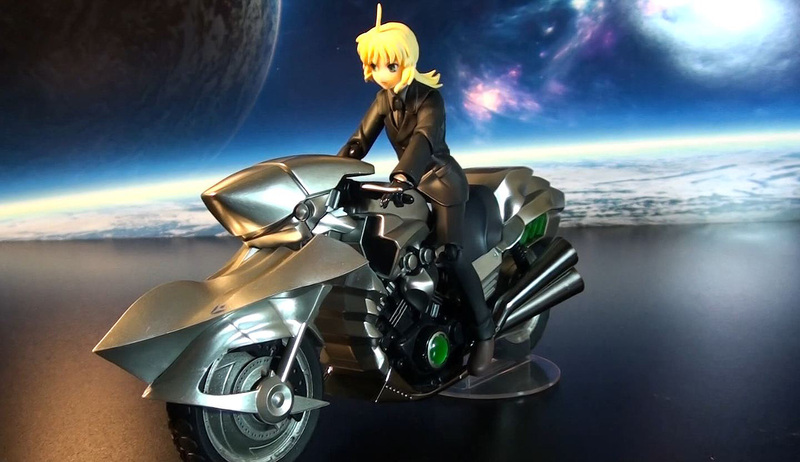 Includes a set of handle bar holding hands and an alternate head for a better range of motion when figure is placed on the bike. 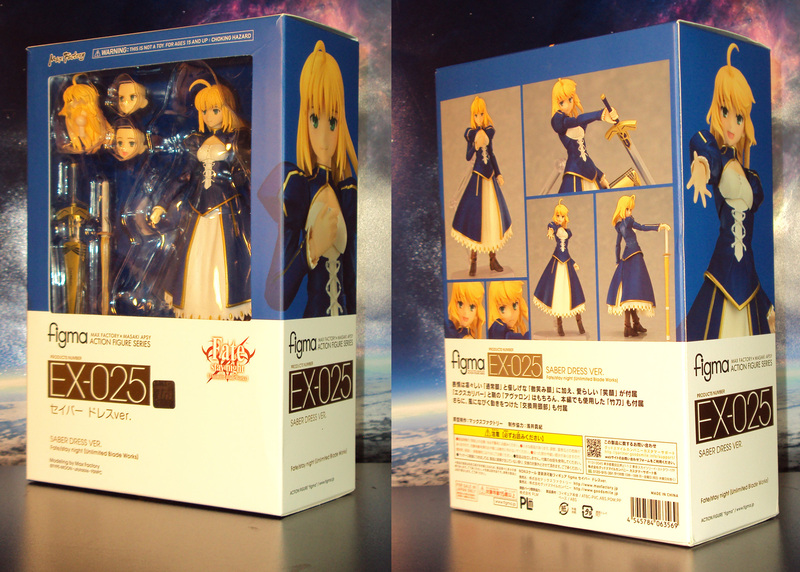 Price at about $50 (Amazon, eBay). 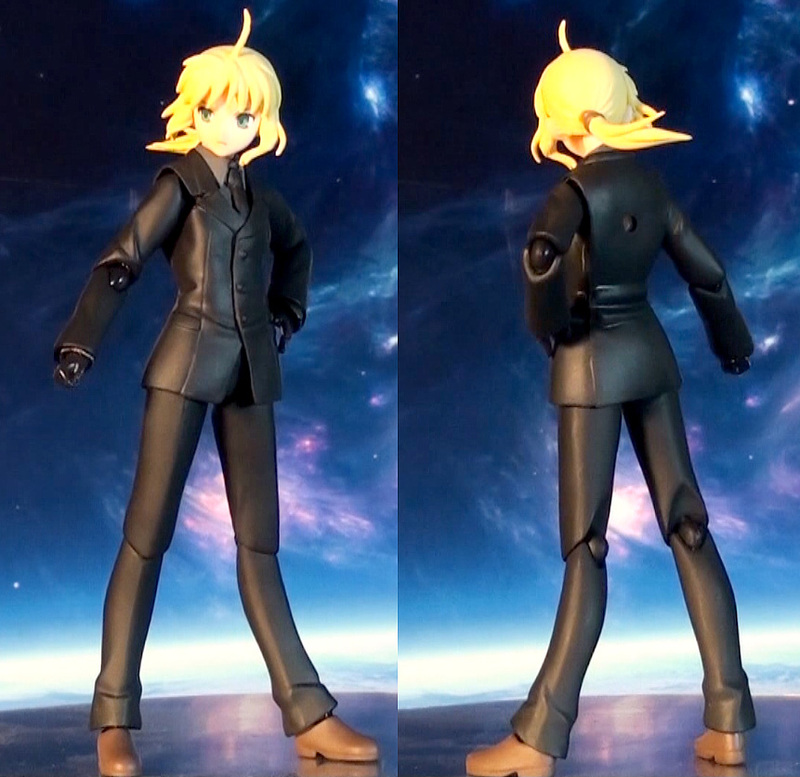 This version of Saber is based off the Fate/Zero design as she is dressed in a dark business suit. 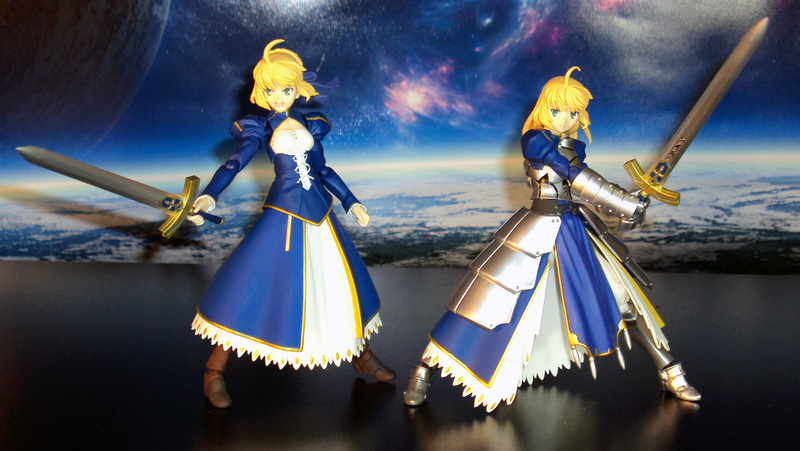 She comes with 2 versions of Excalibur, Avalon, Invisible Air Effect part, Display Stand and a variety of extra hands. 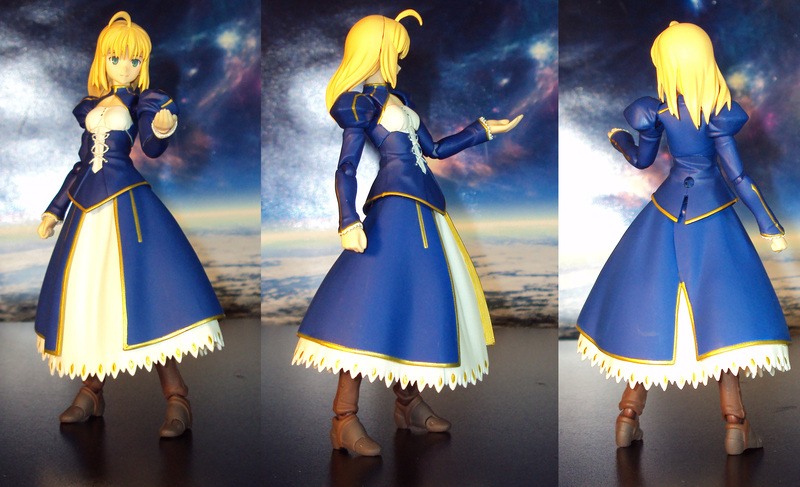 She is sculpted just beautifully and sports all the typical Figma articulation points for dynamic posing. 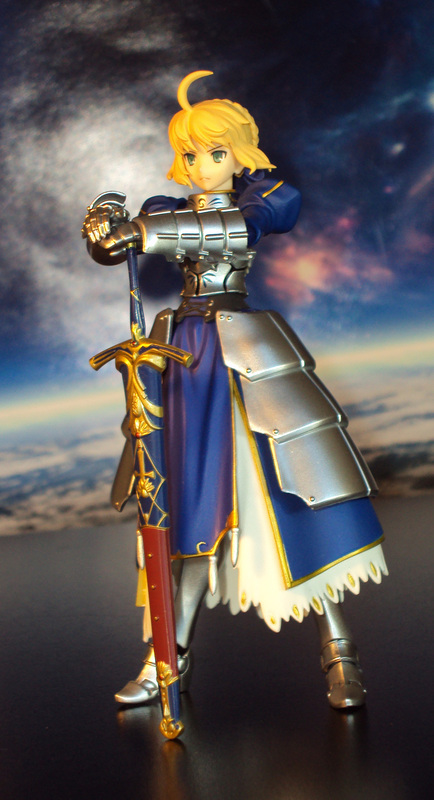 Price at about $45 (Amazon, eBay). 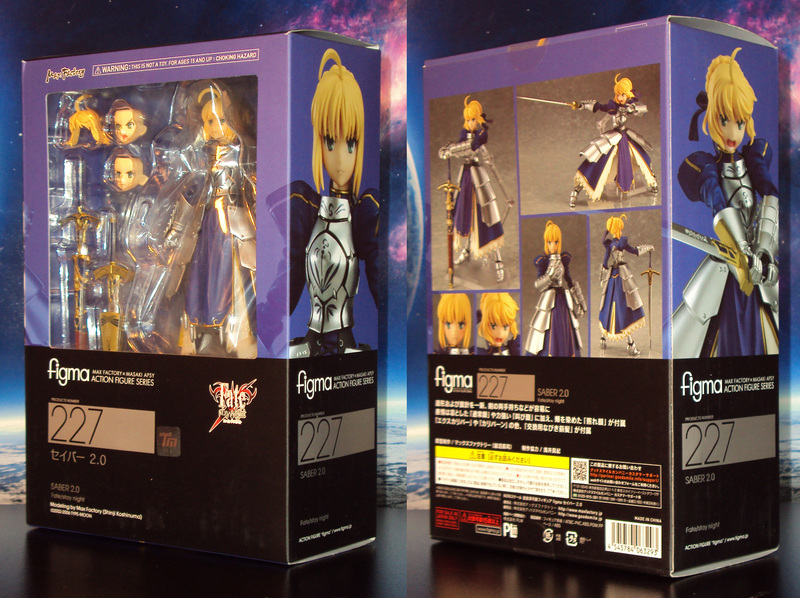 The mysterious Rider of Fate/Stay Night in Figma form.